As she clutches her newborn baby Paula Lackie has more reason than most new mums to feel euphoric. After more than two decades of trying 7lb Isla is a 'little miracle' who has defied doctors' by becoming Paula's first child. 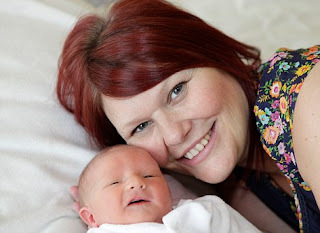 The proud mother, who is now 43, was just 21-years-old when doctors shattered her dreams when they told her she would never fall pregnant naturally. Refusing to give up hope, however, Paula and her then husband adopted two children while clinging on to the belief that one day she might be able to fall pregnant herself. Finally, after a 22 year wait Paula and new husband Grant, 40, are celebrating the safe arrival of the baby girl.